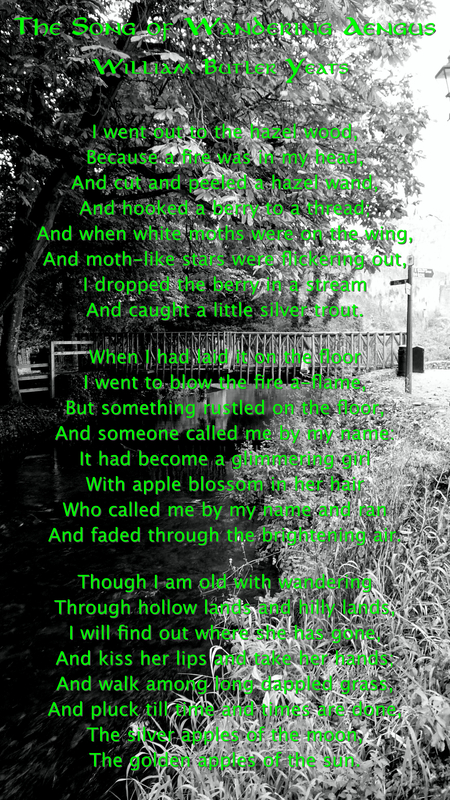 The Song of Wandering Aengus © Copyright William Butler Yeats, 1899. All rights reserved. Used by permission of the Creative Commons License. Summer break should be devoted to something big. Not like photographing every sunset, finding the perfect shade of nail polish, or seeing how many times you can watch The Fault in Our Stars and still cry big, but something really important. Like finding out what happened to Vanity Harrison. I was two weeks into break and no closer to the truth, halfheartedly studying her house with my grandfather’s faded binoculars through a break in my curtains, my feet dangling off my bed, Fatty Fred happily purring on my back as he cut my lung capacity in half, when Mrs. Harrison drove up her circular driveway in the red convertible looking more like a Hollywood ingenue than a grieving mother had any right to. She parked in front of the elaborate Greek columns lining the exterior of the entryway and went inside. Just like normal. Just like she had everyday since she woke up and found Vanity gone. “Gah! This is pointless, Fred.” I rested my chin on the edge of the bed, my arms hanging like weeping willow branches to the floor, and dropped the binoculars on the ground. I wanted to turn over and stare dejectedly at the ceiling, but I was at Fred’s mercy and he seemed pretty comfortable for the moment. There was a soft knocking on my door before my dad pushed it open. I rolled my eyes. Luckily, he could only see my feet and Fatty Fred. The thing about this book is I kinda feel like its proud aunt. I had almost nothing to do with its creation (besides the prodding “Hey, Kit. When are you going to finish that angel book?”) and I’m not responsible for it at all, but I’m more than willing to show it off and take full credit for its awesomeness. Years ago when I read the first draft, I was blown away by how intrigued I was with the world Kit was creating. Truth is, I love a good romance like its nobody’s business (Don’t even get me started on Emma and Captain Hook) and my sister has occasionally teased me about this fact but she had me read Shards because she wanted my opinion on the romantic aspects of the book. Needless to say I gave her a big thumbs up and then anxiously waited for years for her to finish her novel. 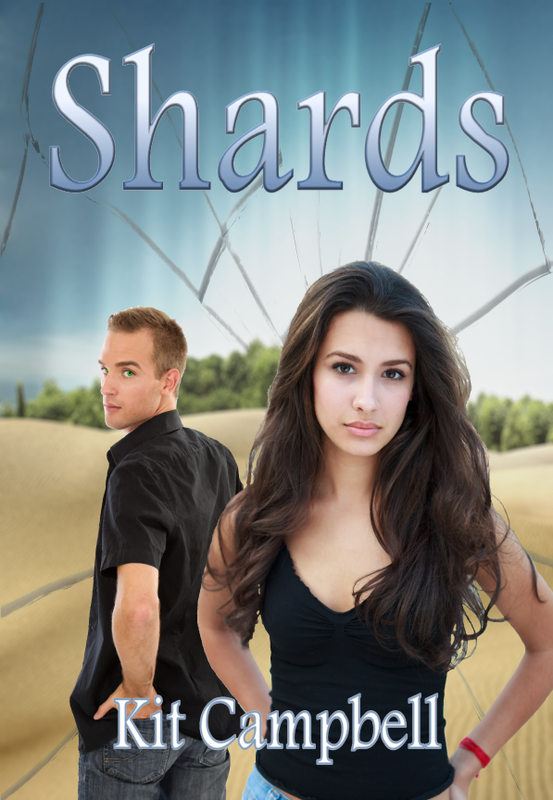 Shards will be coming out December first and will be available from Turtleduck Press. I can’t wait to hear what you think! Anne’s Book Club 14 – HARROWED Cover Reveal!